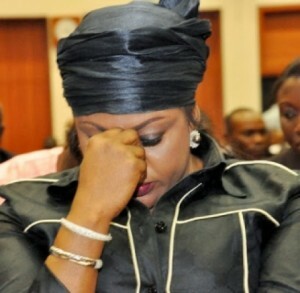 The Economic and Financial Crimes Commission has seized the passport of a former Minister of Aviation, Senator Stella Oduah, after grilling her for several hours on Wednesday. A senior EFCC official told our correspondent that the commission had built a ‘strong case’ against the ex-minister. He said, “Senator Stella Oduah returned for the second round of questioning on Wednesday. After intense grilling, she was allowed to go home on the condition that she turns in her passport to the EFCC. Attempts by SUNDAY PUNCH, to get Oduah were no successful on Saturday. Oduah had not responded as of the time of filing this report when asked to clarify those she referred to as “them”. The former minister first came under investigation in 2013 after human rights lawyer, Mr. Femi Falana (SAN), wrote a petition against her for allegedly approving the purchase of two BMW vehicles worth N225m by the Nigerian Civil Aviation Authority in breach of the Public Procurement Act. She was also accused of diverting N3.9bn out of the N9.4bn meant for the installation of security devices at 22 airports, an allegation she has since denied.